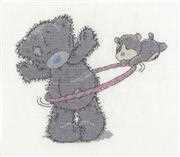 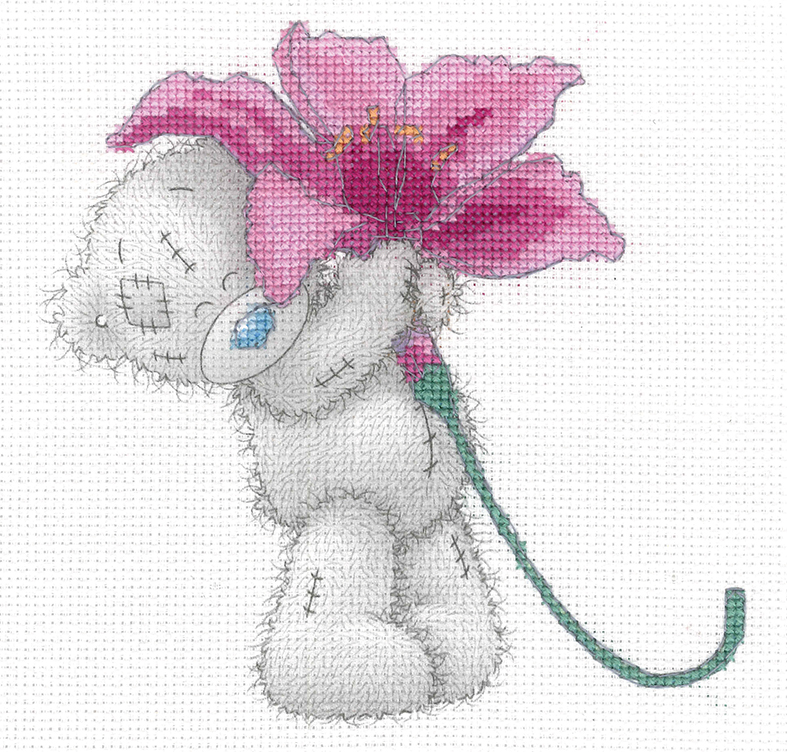 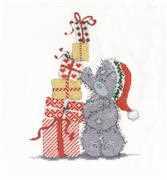 This printed cross stitch design from DMC features Tatty Teddy holding a big pink lily flower. The full design is printed, with the flower only to be stitched over. 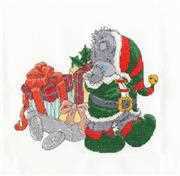 The kit contains 14 count white aida fabric with printed design, DMC stranded cottons, needle, chart and instructions.